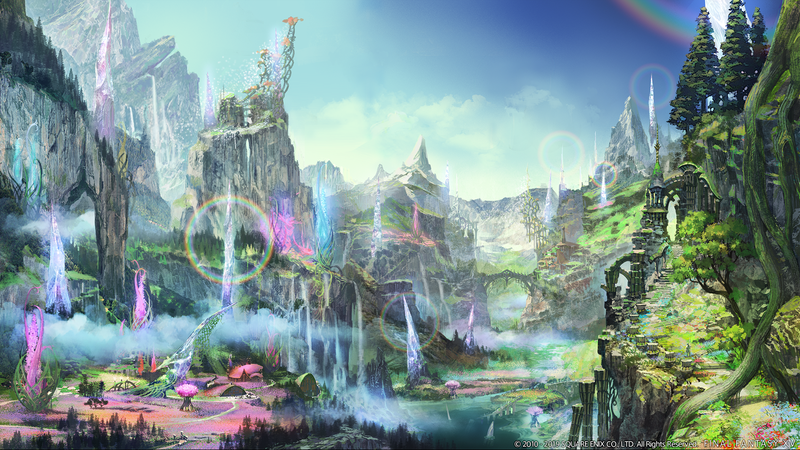 Earlier this morning, Square Enix kicked off the second Final Fantasy XIV of this current 2018-2019 round in Paris, France. The opening Keynote began with what appeared to be the same teaser as the Las Vegas event that took place last November. 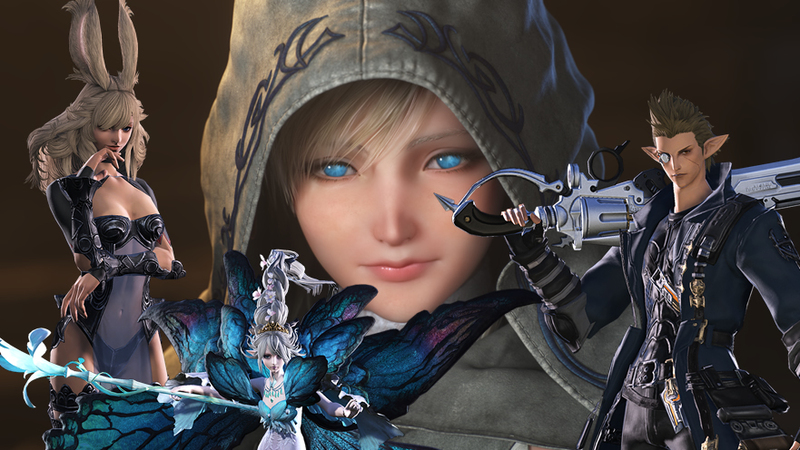 However that changed quickly as we saw new scenes featuring an Astrologian Urianger, Y’shtola as “Master Matoya” and Thancred using a brand new gunblade weapon to protect a young looking child he calls Minfilia. 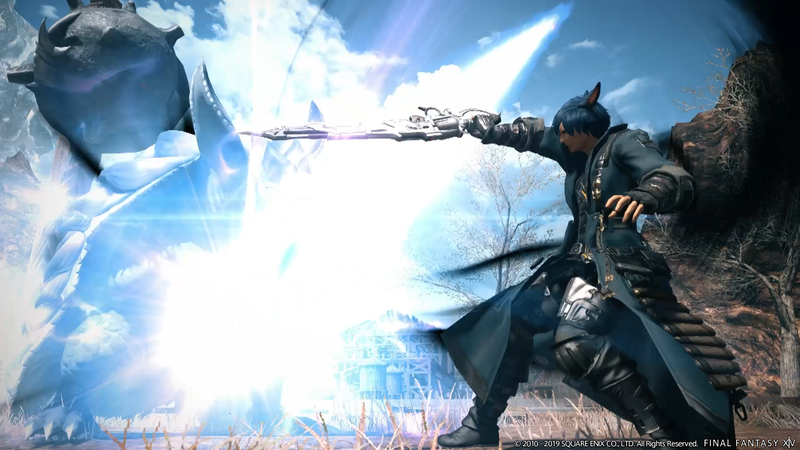 Final Fantasy XIV: Shadowbringers will release later this year on July 2nd, with early access for pre-orders beginning on June 28th. 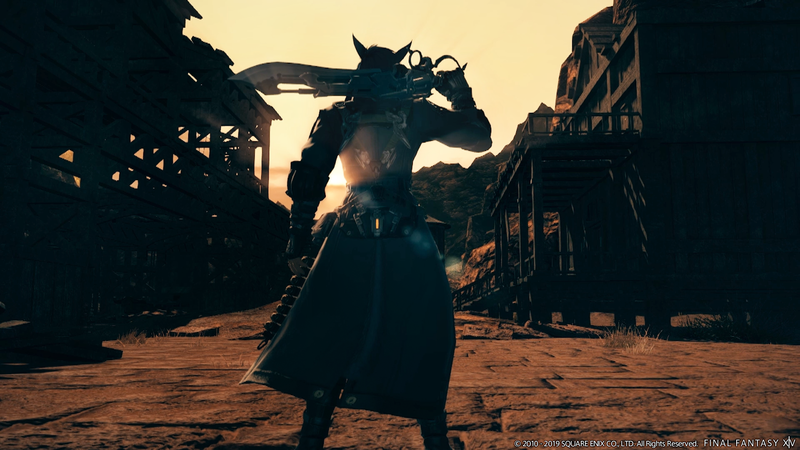 Producer and Director Naoki Yoshida walked out on stage, dressed up as Thancred, complete with a gunblade. 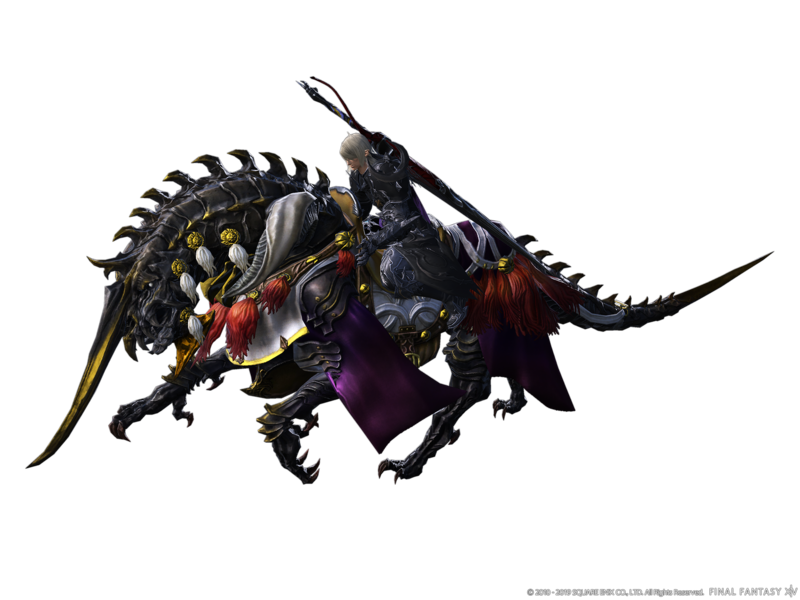 The design he said, is different than what the Garlean Empire uses, it’s design is influenced more by Final Fantasy VIII. 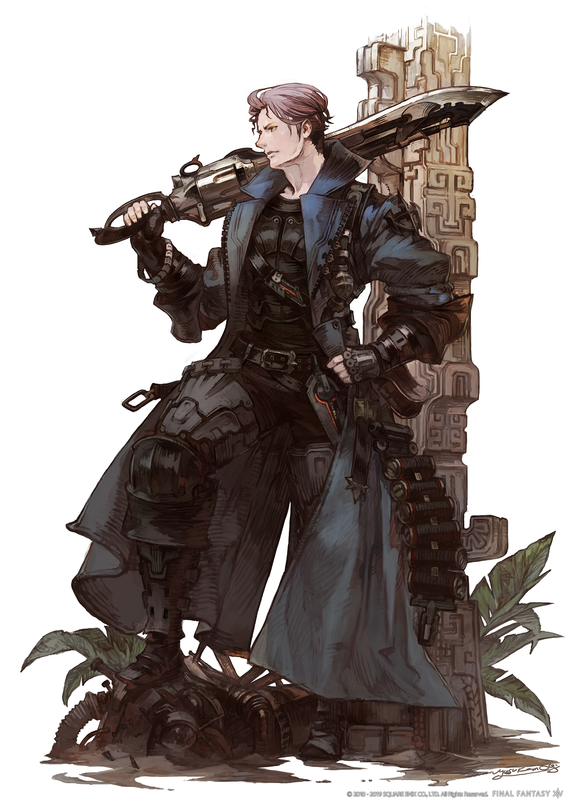 Given the outfit, before they did anything else, Yoshida-san showed us the new Tank job- the Gunbreaker. 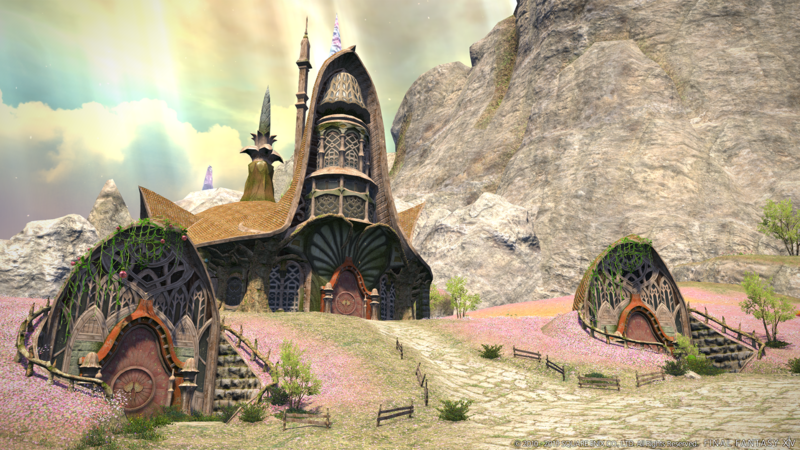 This Gridania based job, will, for the moment, begin at level 60 (this is subject to change). 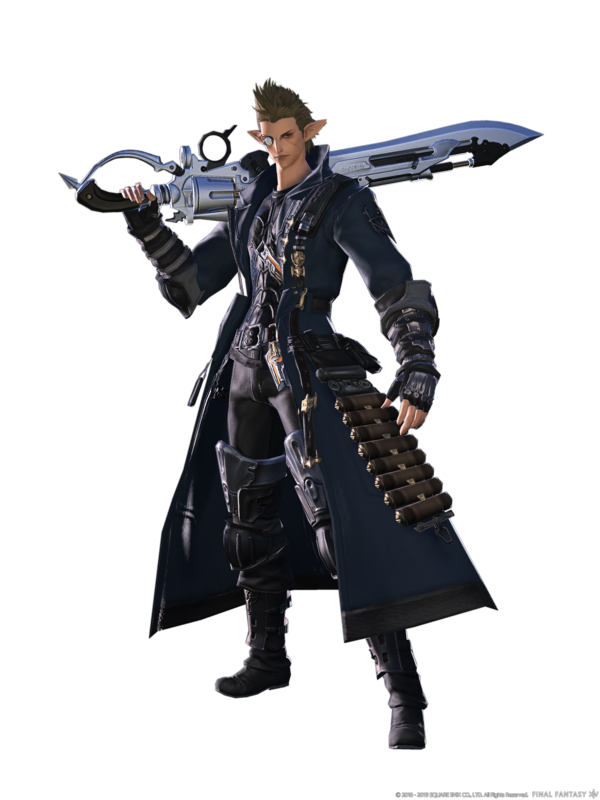 To unlock the Gunbreaker, you’ll have to have the Shadowbringers expansion and one character to level 60. 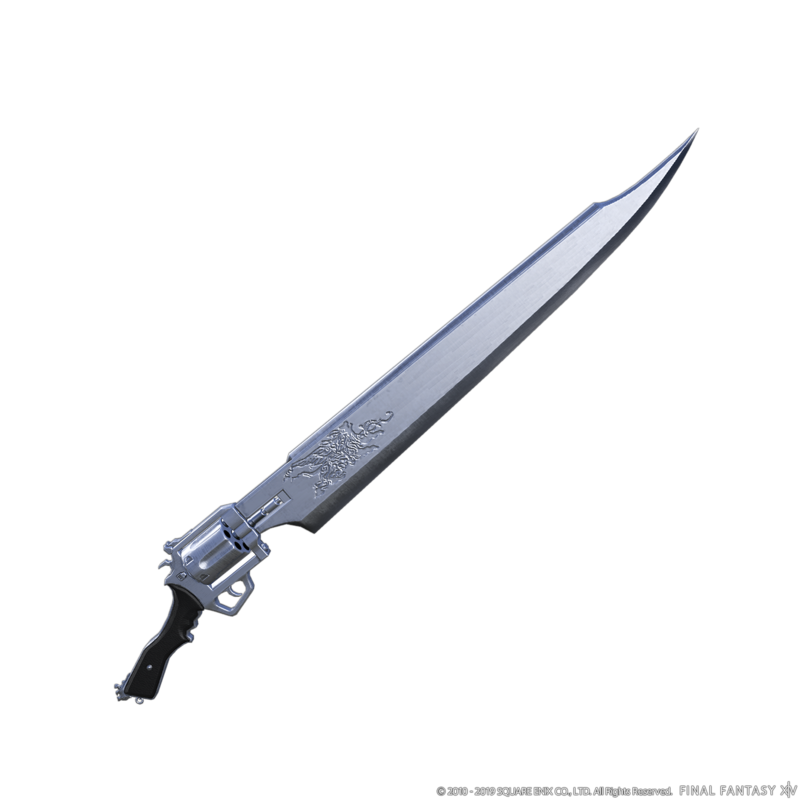 It will deal slashing damage with the gunblade which can be enhanced with magicked ammunition. 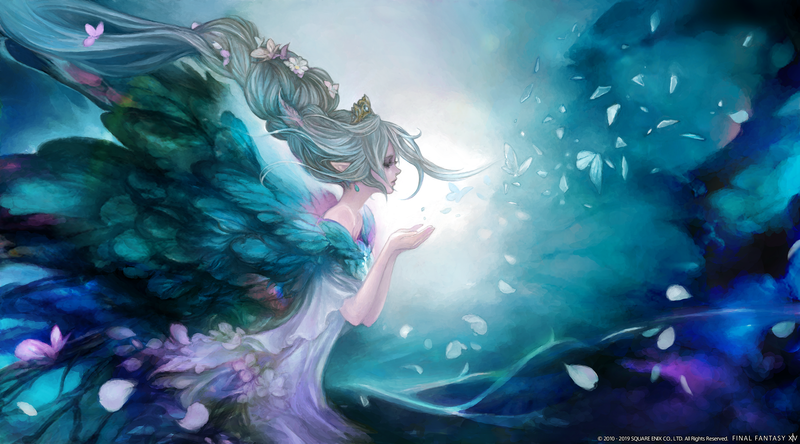 Abilities can also be executed by spending this ammunition. We originally got to see the Rak’tika Greatwood during the presentation in November. 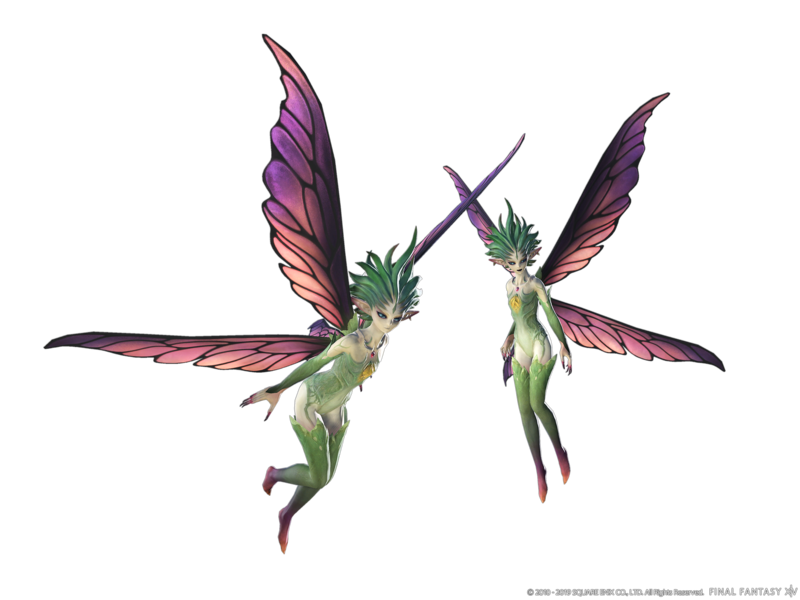 This time around however, we got a look at another area, the “Realm of Pixies” Il Mheg. 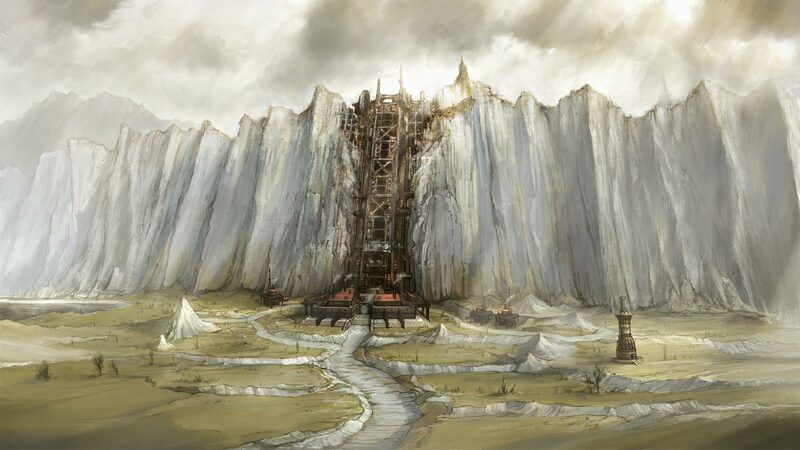 They showed some footage of both areas as they flew around on the mount included in the Collector’s Edition (more on that below) which was also accompanied by music that Sound Director Masayoshi Soken completed only five short days ago. 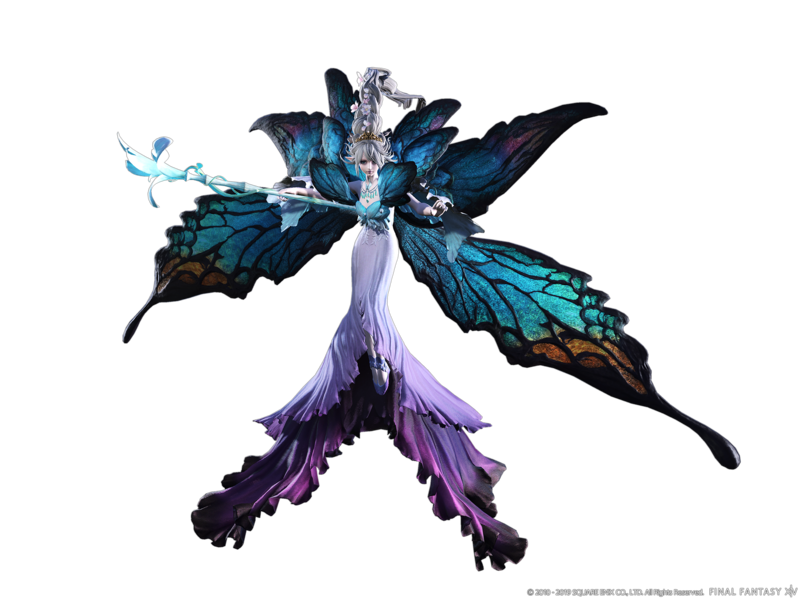 Of course, we couldn’t have a new Beastmen race without a Primal, so Yoshida gave us our first look at Titania. 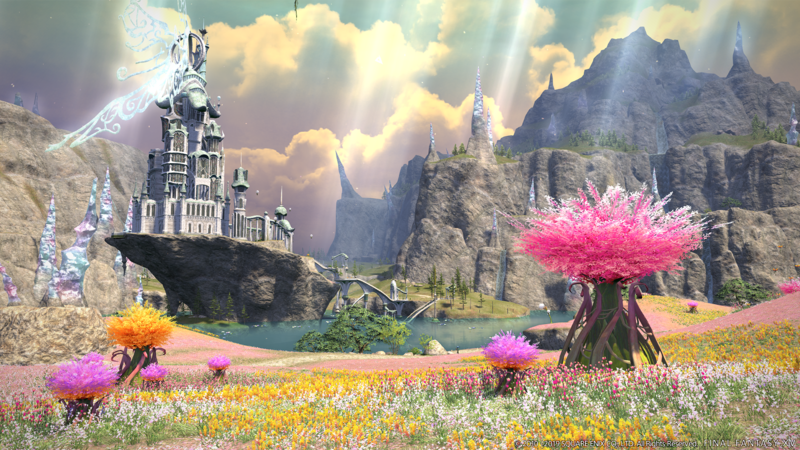 In what was surely a surprise to everyone, Yoshida-san announced that they would again invite two guest creators for the new 24-man Alliance Raid for the expansion. 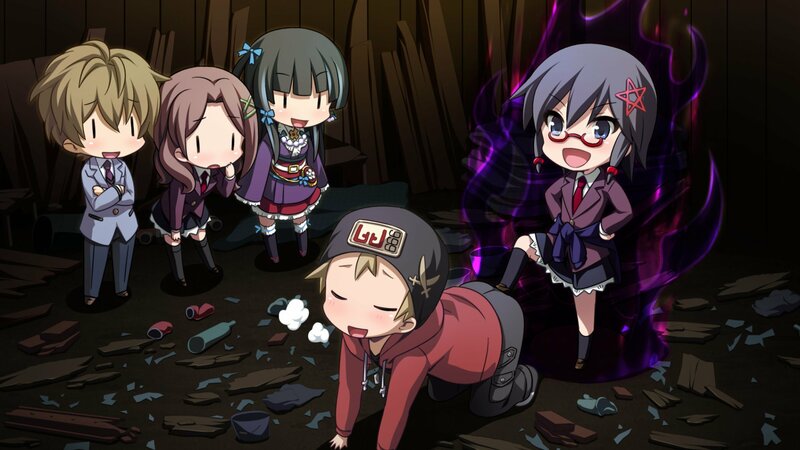 Those creators are Yosuke Saito, and Yoko Taro. 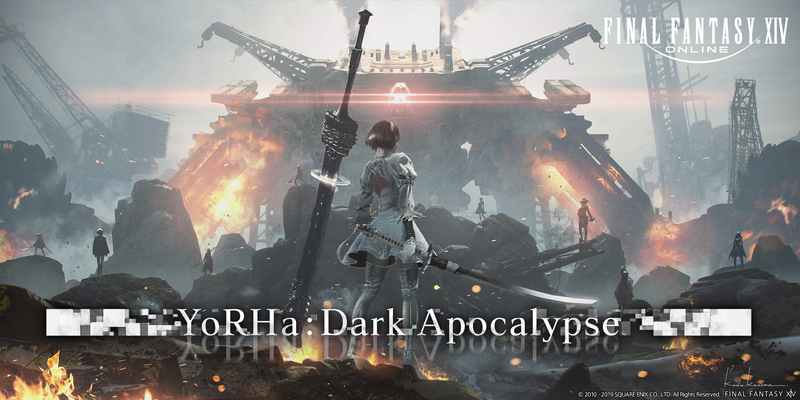 The raid, is A NieR based, YoRHa: Dark Apocalypse. 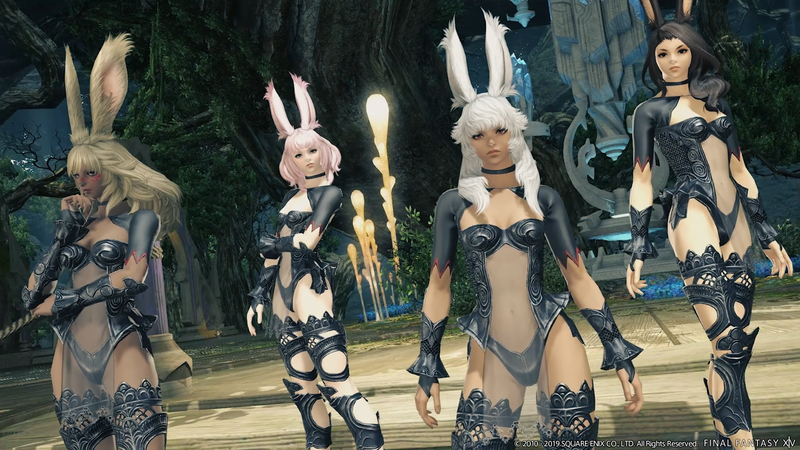 Following the surprise of the Alliance Raid, was the announcement of something that was quite a bit less surprising after Yoshida’s comments in Las Vegas- the reveal of the new race, the Viera. 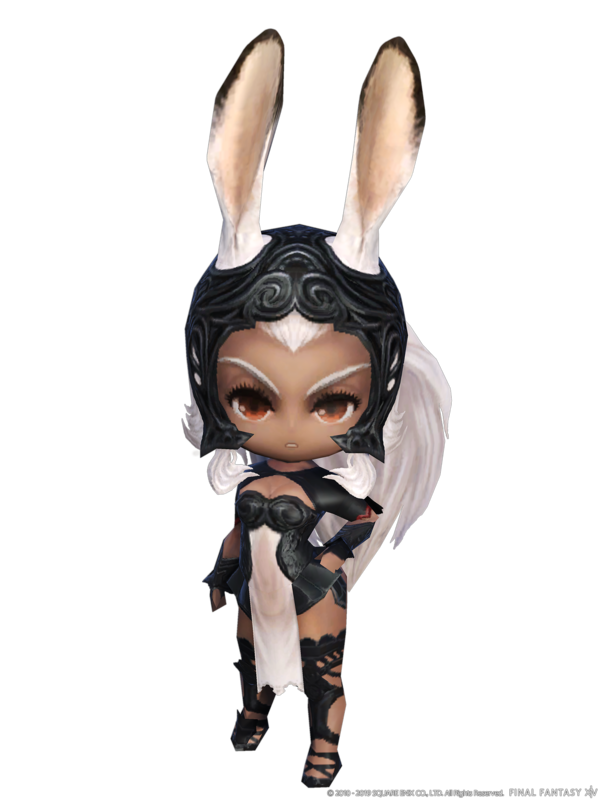 Currently, the largest question is whether or not the Viera will be a female only race. 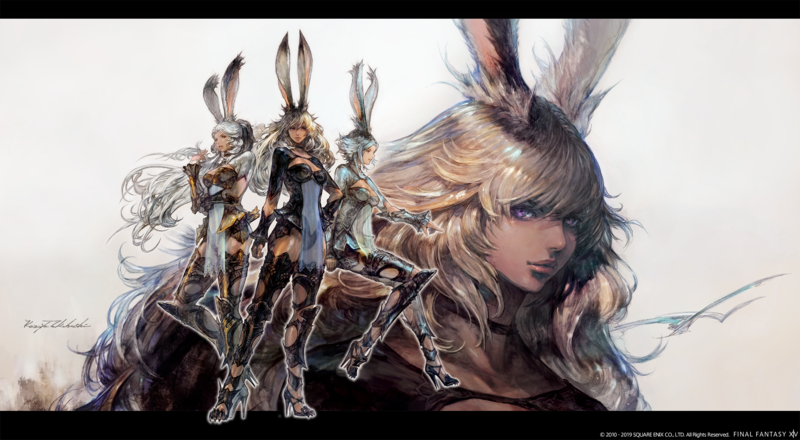 The video above, as well as the artwork (below) hasn’t show off a male version yet, making many fans worry if the Viera will be gender locked. To end the keynote, Naoki Yoshida showed off the items that players will receive when picking up the Collector’s Edition. This edition of the game will be open for pre-orders next week on February 6th. 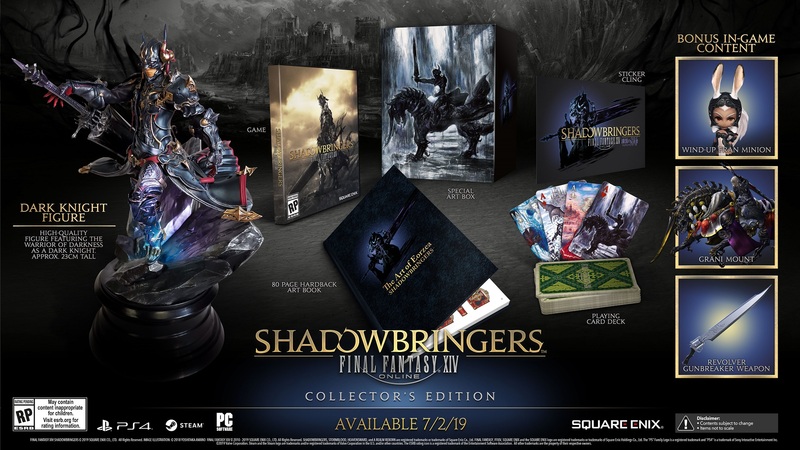 The Final Fantasy XIV: Shadowbringers Collector’s Edition will come with the game, an 80 page artbook, a deck of playing cards featuring Final Fantasy XIV artwork, a large sticker cling, and a Dark Knight figurine. 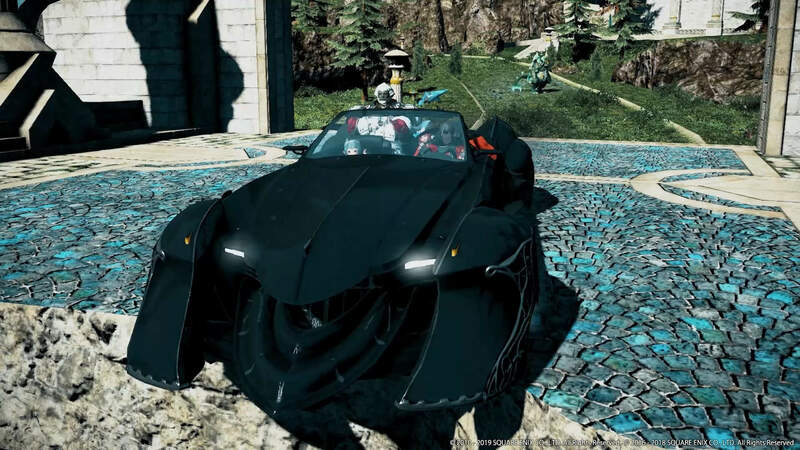 In-game items will include a Wind-up Fran Minion, a Grani Mount, and for those wanting to check out the Gunbreaker job, a Revolver, Squall’s gunblade from Final Fantasy VIII. 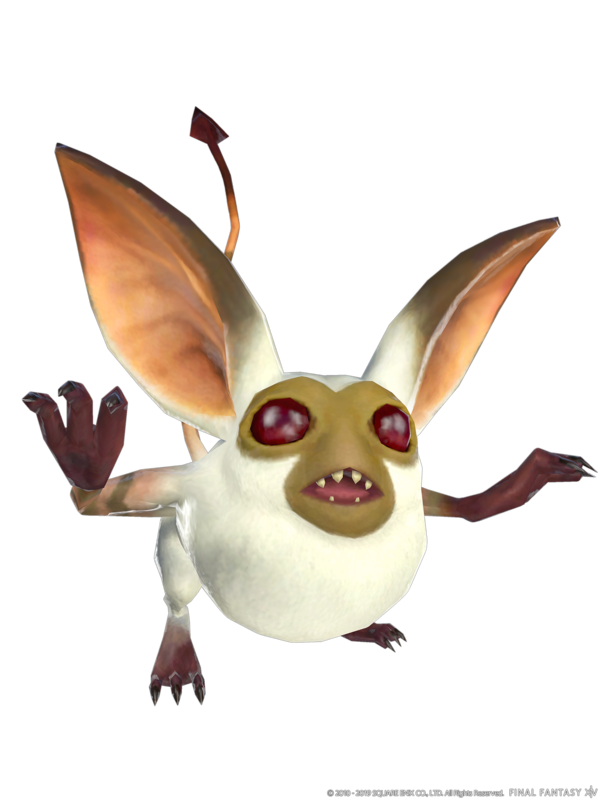 Those that pre-order the expansion will be able to play on June 28th for early access, and will also receive a Gremlin Minion, and Aetheryte Earring sometime during the 4.x patch series. 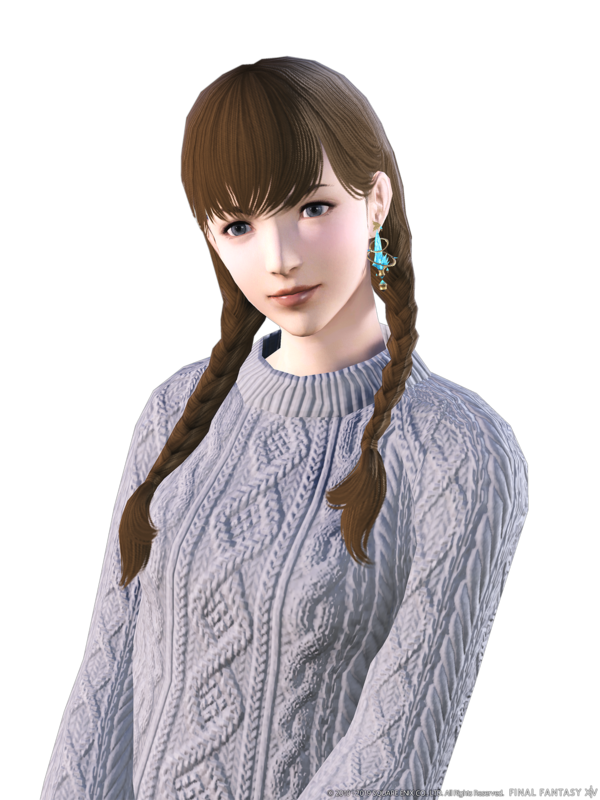 The earring will scale to the current level of players, and will increase experience points below level 70.